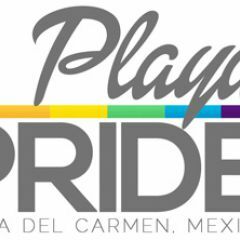 Organizes the annual Pride in Playa del Carmen to promote the values of respect for Human and Civil Rights, as well as the freedom of choice, respect and education surrounding sexual and cultural diversity that exists the state of Quintana Roo. Register to view all Playa Pride news & events and interact with the ellgeeBE community. Reina y Mr Gay Pride 2017 - Cueva del Maya T - Certamen de la elección de la Reina y Mr. Gay PRIDE 2017 Inscripciones Abiertas ! Cuota de cooperación 100 pesos .